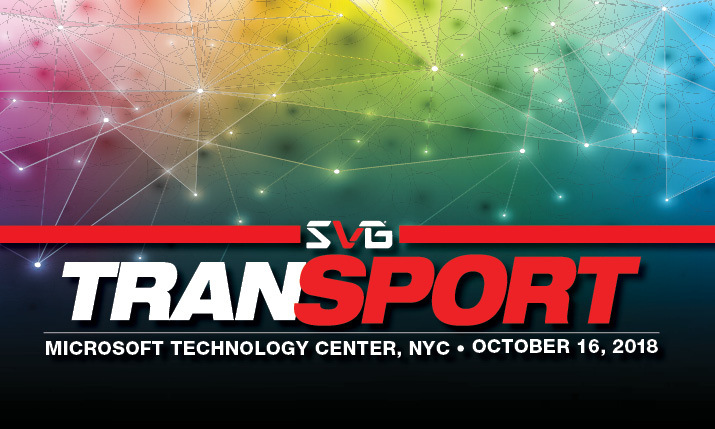 SVG has announced the full agenda for TranSPORT 2018, which will be held on Tuesday, Oct. 16 at the Microsoft Technology Center in New York City. In addition, call for speakers at the event is now open to all end-users, including broadcasters, leagues, universities, digital and streaming outlets, and other sports-content rightsholders. CLICK HERE for more information and to register now. TranSPORT will once again feature a day of networking and sessions focused on the current state of sports-content contribution, exchange, and distribution. The event will address the industry’s most pressing issues, including the current state of the fiber- and satellite-transmission sectors, the potential impact of ATSC 3.0, the upcoming launch of 5G mobile services, the explosion of OTT streaming, 4K and HDR delivery, the growing use of IP and bonded-cellular technologies, the growth of at-home-production workflows, and much more. This year, SVG is teaming up with the Video Services Forum (VSF) to hold back-to-back events at the Microsoft Technology Center. The 2018 VSF October Meeting Series will be held on Oct. 15 (all day) and the morning of Oct. 16 (8-10 a.m. ET) in the same location. CLICK HERE for more information and to register now. To submit a speaker for consideration at TranSPORT 2018, email SVG conference coordinator Alicia Montanaro at [email protected] with the with the speaker’s name, organization, title, and the specific session being requested, along with a brief summary of why the individual is qualified to speak on the topic. Note that this call for speakers applies solely to end-users and does not include technology vendors at this time.